The Epoch Times "Chef Coletta dishing out the best of Italian cuisine". by Italian born and trained, Chef Marco. 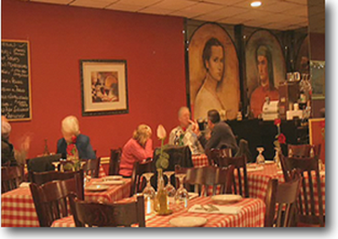 Chef Marco has over 50 years professional cooking experience, learning to cook in the kitchens of several Italian noble families who taught him the secrets of French cuisine and Italian regional food. He learned the discipline it takes to prepare several dishes for many people at the same time without sacrificing quality....no shortcuts, no frozen ingredients, everything fresh! In addition to our regular Lunch and Dinner Menus, we have a variety of Daily Specials which are decided upon in the morning, after the shopping is done. Guests may also enjoy one of our domestic or imported wines or beers to compliment any one of our dishes. Contact us at: tradinoi.trattoria@gmail.com, for information. 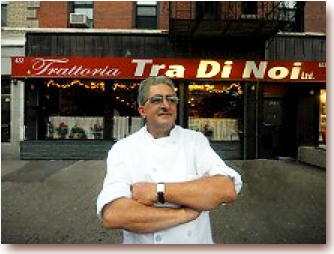 and Trip Advisor rates Tra Di Noi the #1 Italian restaurant in the Bronx.